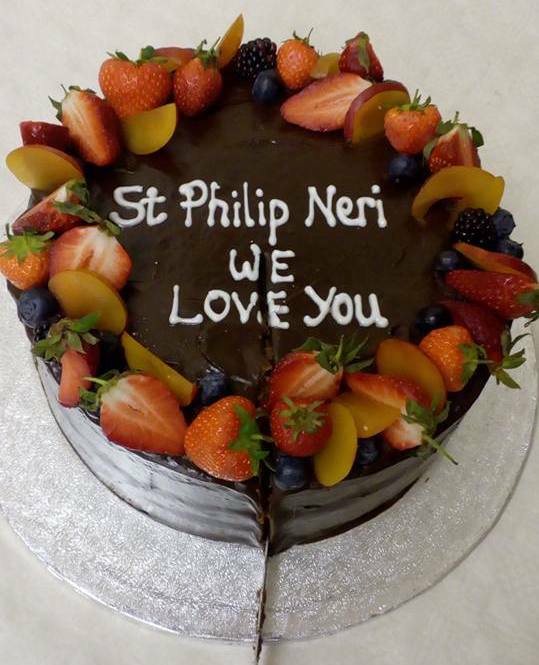 We kept St Philip’s Day, our first here in Bournemouth, with a Sung Mass on Friday 25th May at 6pm. This was because on Saturday 26th, the feast proper, some of the young people of our Parish were due to receive the Sacrament of Confirmation at Portsmouth Cathedral. The Choir sang Mozart’s Jubilate Deo and an Ave Maria by Tozer, who was the Organist of Sacred Heart, Hove, in the nineteenth century. There was an opportunity to venerate the relic of our Founder at the temporary shrine in St Joseph’s chapel. 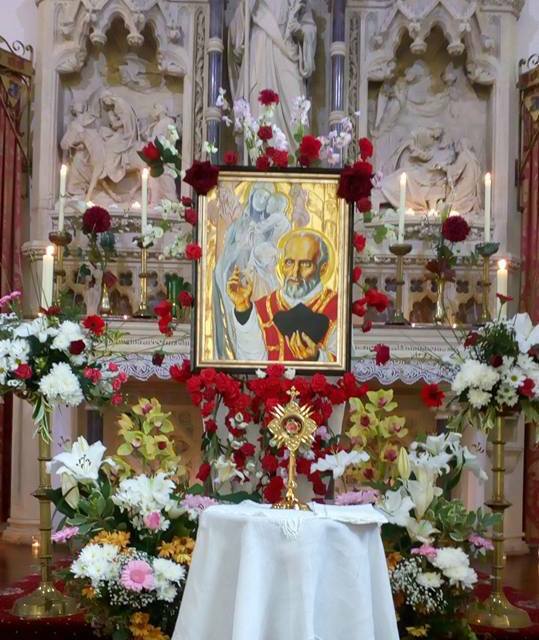 Many have said how much they like Br Francisco’s painting of St Philip with Our Lady of Bournemouth, Star of the Sea and the flower arrangements on the sanctuary for the feast. After the Mass, there was a party in the Parish Hall. Many had bought along dishes to share and we sampled food from India, Poland, Portugal and the Philippines, Italy and closer to home. A truly international evening! A good time was had by all. Thanks to all who helped make the celebration so lovely.